You can use fresh fruit in this delicious smoothie for a better flavor. Its very refreshing and perfect for a hot summer day. 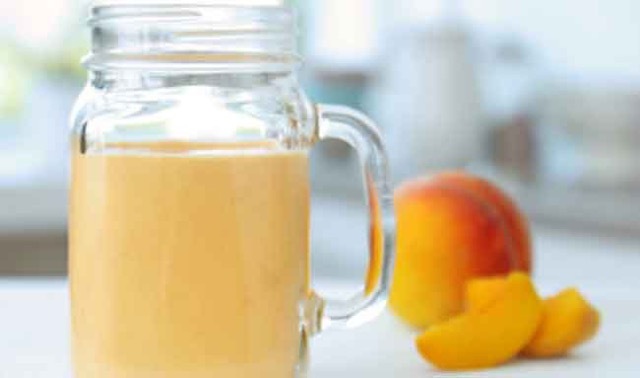 Peaches are known for reducing wrinkles and fighting skin damage caused by the sun. Mango prevents cancer, lowers cholesterol and clears your skin.